The sleepy town of Soppong is ignored by a majority of travellers. 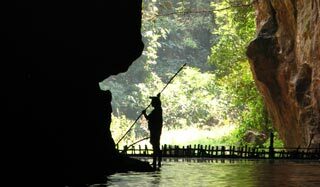 But the few tourists who choose to stop over, are well rewarded when they discover they are in the midst of some of the most scenic mountain views in Northern Thailand, with its lush rainforests, numerous rivers and spectacular limestone outcrops. 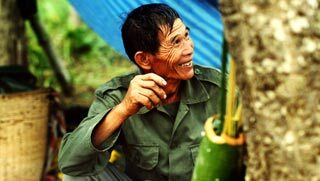 Soppong is also Thailand's foremost setting off point for caving, as well as visiting a number of relatively unspoilt, diverse Hill Tribe villages (mainly Shan, Lisu, Karen and Lahu), many of which you can reach on foot. There is not too much to do in Soppong town, it's all about getting out into the countryside here. 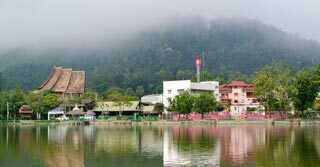 Sappong is an excellent base to enjoy the attractions in the surrounding countryside, including trekking, caving, visiting the nearby Hill tribe villages, kayaking and rafting. 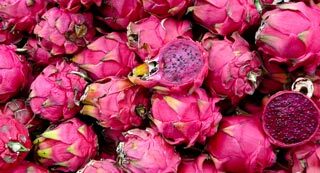 If you do decide to spend a few days here, you might want to earmark Tuesdays to rest up a little, as it is the one day that Soppong comes to life, when the Tuesday Market comes to town. As the main reason to come here is to get out into the countryside you should give a minimum of 2 days. 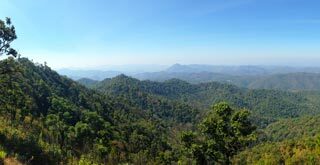 Roughly midway by road between the popular towns of Pai and Mae Hong Son, - north of both – and situated on the banks of the Yang River is the lesser known, tiny town of Soppong. The main essentials of the town are centred around the bus station on the main 1095 highway with the houses, less than 400 in number, spreading along both sides of the main road. Near the bus stop is a 7/11, a small hospital, the police station, ATM and post office. 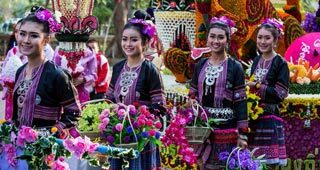 The population of the town is composed of 40% ethnic Hill tribe, 40% Burmese Shan, 20% Thai, along with a few Haw Chinese Muslims.